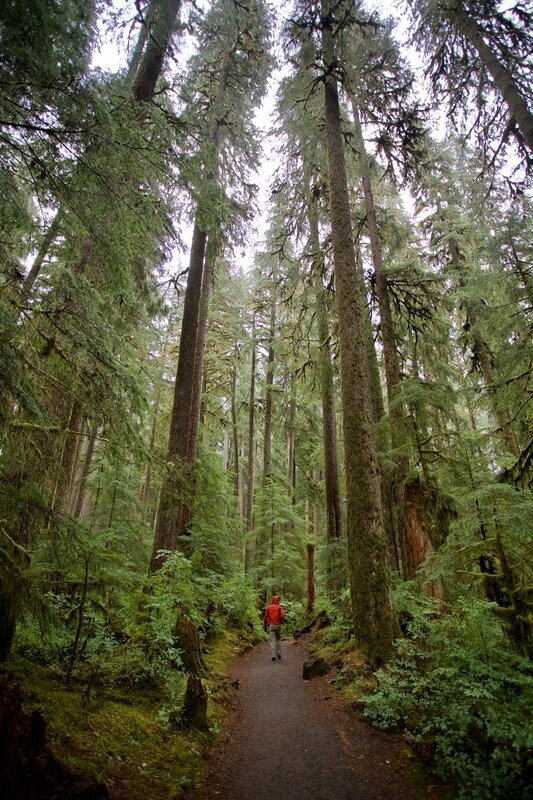 Olympic National Park is unique for the diversity of regions held within its borders, and my friend Bradford and I drove all over the Peninsula to explore the three distinct regions - the mountain ranges, the beaches, and the forests and rainforests. The rainforests are perhaps the most associated region, saturated in deep fern greens and washed out grey skies, faded pine greens and moss covered rocks, accentuated by bright white running water. It is wet and slippery and a place of life and adventure. As far as mountains - a story: one windy day in 1897, W.A. 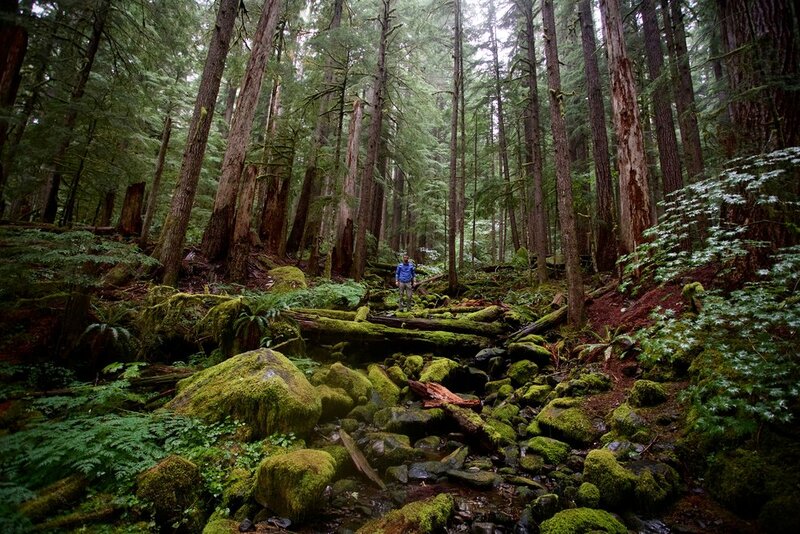 Hall, a prospector, went hiking in the mountains on the Olympic Peninsula. When he reached the top of the ridge, looking over an incredible view, the wind roared at and around him, the kind of wind which causes you to lean forward to remain on your feet. As he fought against 100 miles per hour winds he is reported to have said "This must be a dag-gum Hurricane." The drive up to Hurricane Ridge encapsulates my every idea about the PNW. 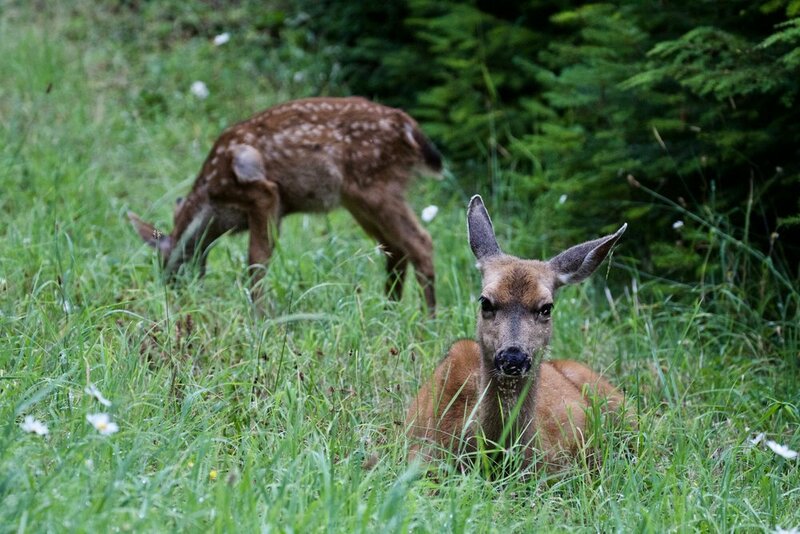 The temperature drops quite a bit as you wind up to the top so be ware...and take your time driving through the forest and look for wildlife just off the road! And if the rainforests and mountains don't provide enough of a reason to visit, you can camp on the beach, looking out over the Pacific Ocean, collecting warped driftwood on a landscape which may or may not belong to another planet. Bring a friend, and bring a rain jacket. 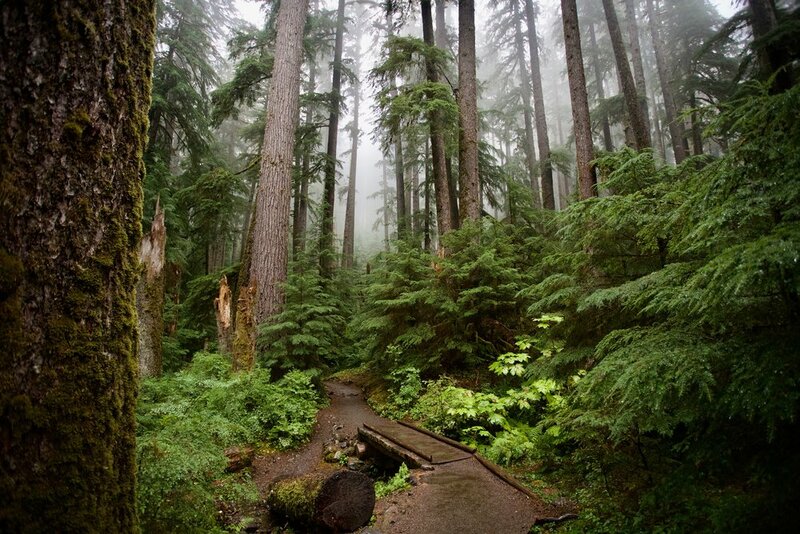 Olympic National Park became the 24th National Park on June 29, 1938, and is just west of Seattle, WA.